Gold, silver prices today: The precious metal had shed Rs 25 on Thursday. 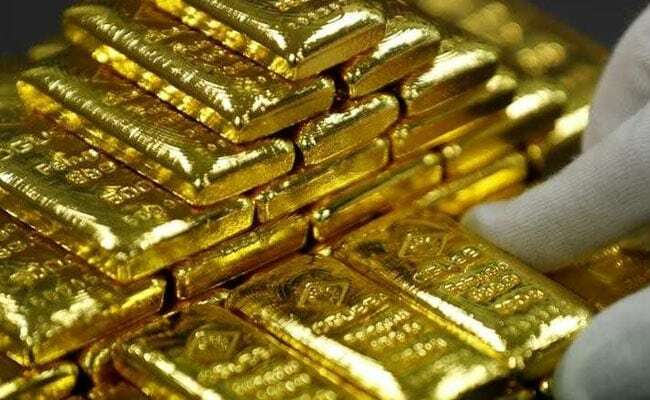 Gold prices fell by Rs 200 to Rs 31,400 per 10 gram at the bullion market on Friday, reported news agency Press Trust of India (PTI). The dip in gold prices is due to weak demand from jewellers and retailers even as the metal strengthened overseas. Silver also followed suit and fell by Rs 250 to Rs 37,650 per kg due to reduced offtake by industrial units and coin makers. According to analysts, muted demand from local jewellers and retailers at the domestic spot markets mainly kept pressure on the precious metal, but a firm trend overseas capped the fall. In the national capital, gold of 99.9 and 99.5 per cent purity drifted lower by Rs 200 each to Rs 31,400 and Rs 31,250 per 10 gram, respectively. The precious metal had shed Rs 25 on Thursday. Sovereign remained flat at Rs 24,500 per piece of eight gram today. "MCX gold poised for first weekly gain in three as the greenback weakens after US posted weak set of inflation report. US core inflation unexpectedly cools in August while weekly jobless claims hit fresh 48-year low, underscoring tight job market", said Jigar Trivedi - fundamental research analyst, commodities, Anand Rathi Commodities. Silver coins continued to be traded at previous level of Rs 72,000 for buying and Rs 73,000 for selling of 100 pieces. Globally, gold prices rose on Friday as the US dollar faltered after softer-than-expected US inflation data dimmed the case for a faster pace of policy tightening by the US Federal Reserve, amid signs of movement in the Sino-US trade standoff. Gold rose 0.61 per cent to $1,208.20 an ounce and silver 0.78 per cent to $ 14.25 an ounce in Singapore.